Think Big – Start Small – Learn Fast! dodenhof is northern Germany‘s largest shopping center, and in Posthausen alone, on an area covering 120,000 square meters, offers shopping worlds ranging from home furnishings to technology, to sports, along with comprehensive service offers. 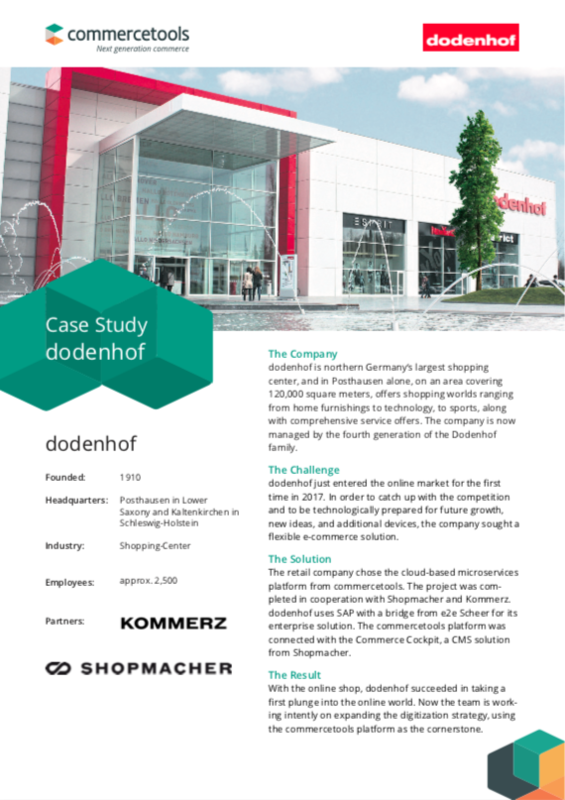 The retail company chose the cloud-based microservices platform from commercetools and succeeded in taking a first plunge into the online world. Now the team is work- ing intently on expanding the digitization strategy, using the commercetools platform as the cornerstone.